10 Women were asked the same question: “What draws your attention to pick up a lotion or cream when shopping” Here are the consistent answers among the shoppers. 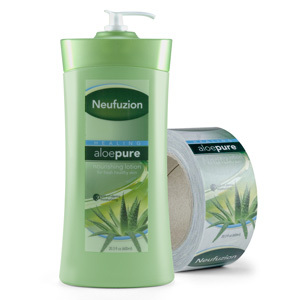 Facial Wash Label is printed 4 Color Process with 3 label versions of Variable Data on Clear Polyester Film. 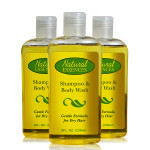 Shampoo Label is printed with 1 Spot Color on Gold Shiny Foil Film. Hand Soap Label is printed 4 Color Process with 3 label versions of Variable Data on Clear Polypropylene Film. We Carry Over 50 Pressure Sensitive Film and Vinyl Materials along with Protective Laminates. Each material has unique properties for special purposes. Thousands of standard die cut label sizes are available for fast delivery. These materials are an excellent choice for wet areas. Labels will stay perfect in harsh conditions up to 1-1/2 years. 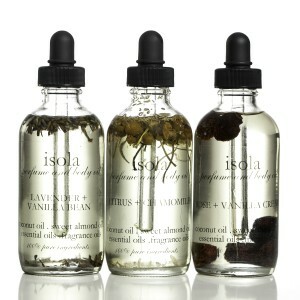 Simple Elegance with 1 color black ink directly screen printed on jars, pumps and airless containers. The look of sophistication is what screen printing will give your product. Preferred for it’s simple look, direct screen printing has fewer steps than label printing meaning faster turn around after artwork approval and container selection. UV inks produce a permanent finish that will never scratch or fade and will produce superior clarity of even the smallest text. No labeling needed, small quantities and unique container options are some of the advantages. Branding your product line with decorative screen printing. The decorative silkscreen process allows you the luxury of the no-label look, giving your product the sophisticated edge by printing directly on glass, acrylic or plastic containers. We work with several local container manufacturers and can help with the selection of jars, closures, bottles and squeezable tubes of varying shapes, sizes and materials. Deliver a classic high-end final product. Direct Screen Printing with UV ink is produced by burning a screen, printing 1 color at a time, then curing the UV ink in a heat tunnel. 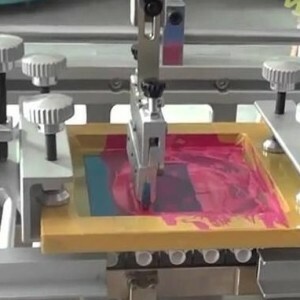 Learn more about Silk Screen Printing. When creating a new SKU and ready to compete in an existing market space, you want to put your best foot forward. Getting the right combination of product, container shape, visual design, print quality & packaging can be exhausting and confusing, let us take the hassle out of your next project! Call us to discuss your options of labeling or direct screen printing. Blue Line Labels will deliver your order accurately and on time. Our 20 years of design and print experience will assure you of an excellent quality product and a professional cost effective relationship. Give us a call at 1-800-609-7079 to discuss your custom skin care label next project.